A job well done. From our initial phone call to watching the door be back on track! 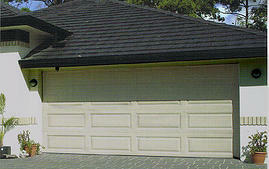 Over 1000​ new Garage doors installed in Brisbane! 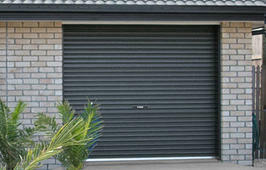 We specialise in quality new garage doors for the Brisbane residential market, at very affordable prices! Whether you need to replace an old or damaged door, or would like brand new door installation in your carport or garage, you have come to the right place! If you are looking for a stunning door to add style and value to your home, you can’t go past a new panel-lift garage door replacement (also known as a sectional door). You can choose from a range of styles and colours that best suit your home design. You can even add windows to your new garage door! Please click the thumbnails on the left to view the different styles, window options and colours available. Modern tilt doors are sleek, stylish, & much more attractive than their counterparts of old. Tilt doors are still very widely used today and are a perfect solution for high-set homes, and for situations where ceiling height is an issue. 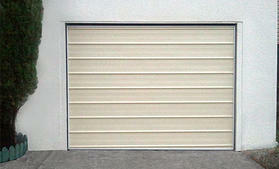 If you are looking for a quality roller door at a great price, then you have come to the right place! All our roller doors are made right here in Brisbane (we believe in supporting local business) using high-grade Colorbond steel and are available in a wide range of colours. 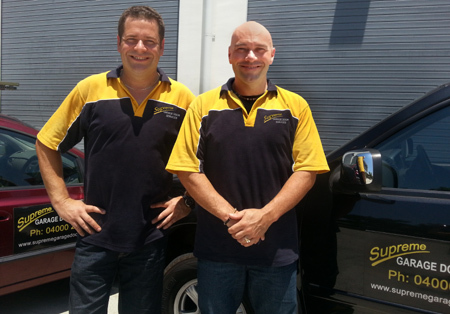 If you would like to ask us anything about your upcoming garage door installation – or you would like to book an appointment for a free measure and quote – please do not hesitate to contact the team at Supreme Garage Doors. We’ll do our best to fit with your schedule, and supply and install your complete garage solution. Just ask us how.